We offer home health and fitness programs to people who are too busy to go the gym, and coaches Jeff and Amy are committed to your success. We provide FREE coaching to help maximize your results from your home exercise program. At DitchtheBelly.com we utilize Beachbody home fitness fitness products, gear and nutrition to get amazing and life transforming results. Experience increased energy, more self-esteem, more self-confidence, and increased stamina, agility, and strength. If you commit to changing your life, and you commit to as little as 25 minutes per day, you will ditch the belly and see amazing results! Beachbody has a simple motto … Decide. Commit. Succeed and we are here to help you realize that it really is that simple to transform your life. We have learned that daily exercise and healthy eating is actually EASY! Let us show you how. If it isn’t easy, then you won’t stick with it. The time that you commit for yourself to exercise is YOUR TIME and you should always HAVE FUN and you shouldn’t have to THINK! Beachbody’s exercise programs don’t require you to think. JUST PUSH PLAY. You’ll work out with a world class trainer every time you push play, and you don’t have to worry about what to do or when to do it. Shakeology is QUICK and EASY to prepare, and you will definitely find a recipe that you love. There are hundreds of Shakeology recipes available for FREE. We offer FREE ongoing coaching and support to virtually guarantee your success, so long as you keep putting in the effort. Make Jeff or Amy your coach, we’ll contact you immediately to help you choose the program that is right for you. You will work out at home, on your schedule. You will immediately experience the benefits of Shakeology. We will offer you the support you need and we will be here to answer any questions you may have. You will be amazed at what can happen when you make a commitment to your health and wellness. Remember, our coaching is FREE. We very strongly encourage all of our clients to discover and define their “WHY.” WHY have you decided to get healthy? WHY will you keep “pushing play” on those days when you may not really feel like it? WHY have you made a commitment to lead a healthier life? – Do you want to be a healthy example to your family, your children? – Do you want to be rid of medications for diabetes, high blood pressure, or some other obesity related disease? – Do you simply want to look and feel better? – Do you want to be done with chronic pain associated with obesity and/or non-activity? Once you discover your WHY, and you commit to your WHY, there is nothing that can stop you from realizing success in your health and fitness. We offer our experience with all of the Beachbody fitness programs and and everything that we have learned in our own fitness journeys. 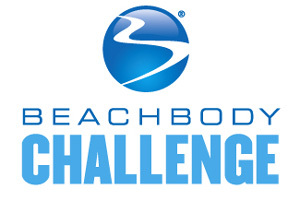 We are experts in Beachbody products and can recommend the best exercise program for you…..for FREE! You pay nothing for our coaching, you just reap the benefits of your own hard work and we are there to help you every step of the way. While we are not nutritionists, we do have extensive past experience with eating garbage and will offer tips and strategies for you to stop eating garbage and make healthy food choices.